We love this poem, and have gotten so much out of Margaret Wheatley’s work. We were so glad to spend two days with her in Victoria. Thanks to the Royal Roads University for creating the opportunity! 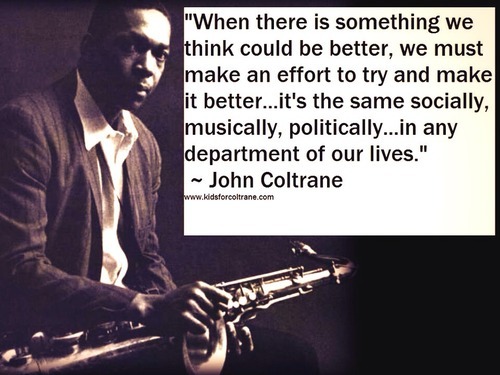 It seemed like a good match for this quote by John Coltrane. Ask: “What’s possible?” not “What’s wrong?” Keep asking. ← Welcome to the November 101 Friends e-newsletter!